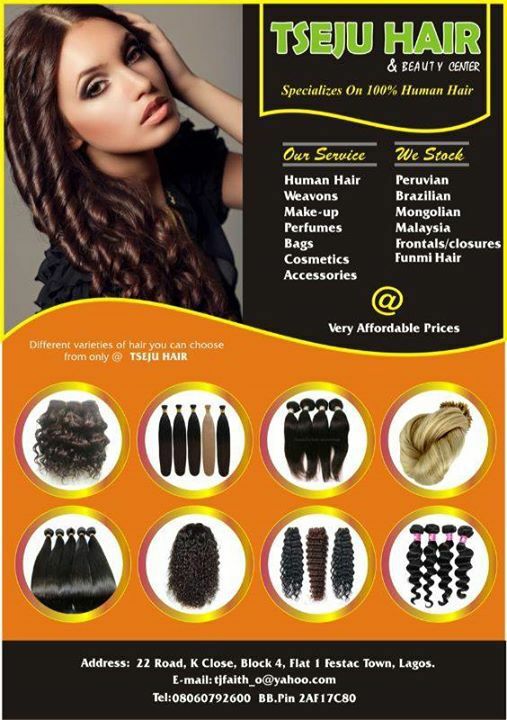 "You cannot be a top hair stylist today without working with some types of wigs or hair extensions... I have been blessed to have worked on some of the best in the Fashion, Film and Music industries. One thing I see all the time is everyday women trying to recreate looks I have done, without great success. Wearing wigs and extensions can be very embarrassing, if the hair is not being worn correctly. On the other hand, if you know how to apply your hair correctly, you can make an amazing transformation, just like those seen on A-list stars... This is why The Lace Wig Bible is a must. This book demonstrates, with very clear, step-by-step instructions, everything you need to know regarding application and care for your lace wig... Enjoy and try a new look!" Hair care has blossomed into a multibillion-dollar industry, thanks in no small part to the widespread embrace recently of wigs and extensions as fashion accessories. Unfortunately, there is a tremendous range in the quality of what you're likely to encounter out there on the street, with some women sporting seamless hairpieces that you can't tell is fake while others quite frankly look like they have a dead pet draped over their heads. The goods news is that help has arrived for ladies languishing in the latter category in the person of beauty guru Morgan Gantt, a sister with her finger on the pulse when it comes to solving any sort of hair care nightmares. 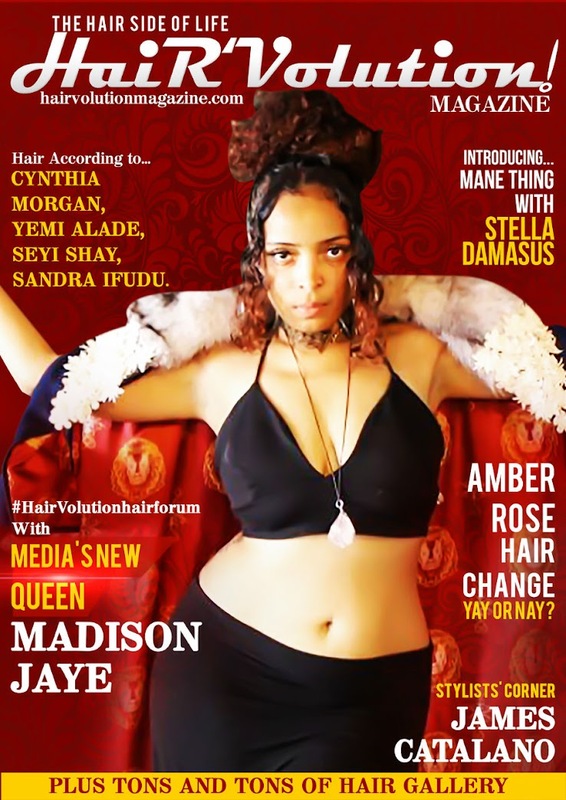 She speaks from experience, as she has not only worn wigs for years but is the founder of a premium line of wigs woven from the locks of East Indian females. 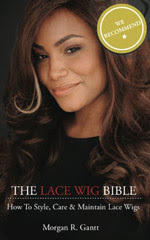 In The Lace Wig Bible, the definitive guide on the subject at hand, Morgan shares her tricks of the trade, covering everything from appearance to grooming. The beginning of the opus features a glossary of terms, since the world of wigs apparently has a complicated lexicon all its own. The ensuing discussion might be over your head unless you've familiarized yourself with the meaning of terms like "ceramic flat iron," "rat tail comb," "clear acrylic sealer," "rolling papers" and "thinning shears." Employing this insider vernacular, Morgan then proceeds in Chapter One to answer the ten questions most frequently asked about lace wigs, including "How long will my wig last?" and "Will lace wigs damage my hairline?" In the next chapter, she lays out the ten most popular pitfalls leading to a bad wig day, such as showing too much lace, using too much adhesive and improperly securing your wig. Like a modern-day Moses, she lays out sanctified solutions to each dilemma in step-by-step instructions accompanied by illustrative drawings and photographs. An encyclopedic tome containing everything you need to know about maintaining a perfect faux-do but were afraid to ask. Recently i buy some stylish lace wig from online store Elevate Styles, but facing problem to take care and mantain them properly. Your article has solved my problem. Thanks for sharing this useful tips.